I fancied something simple and easy, much in the way Summer should be...but let's not dwell about the state of Summer here in the UK. Talking about it will just depress me even more. So I just crabbed the jelly role of 'Lucy's Crab Shack' I bought the other day and simply started sewing strips together. Simple fun and effective - love it! 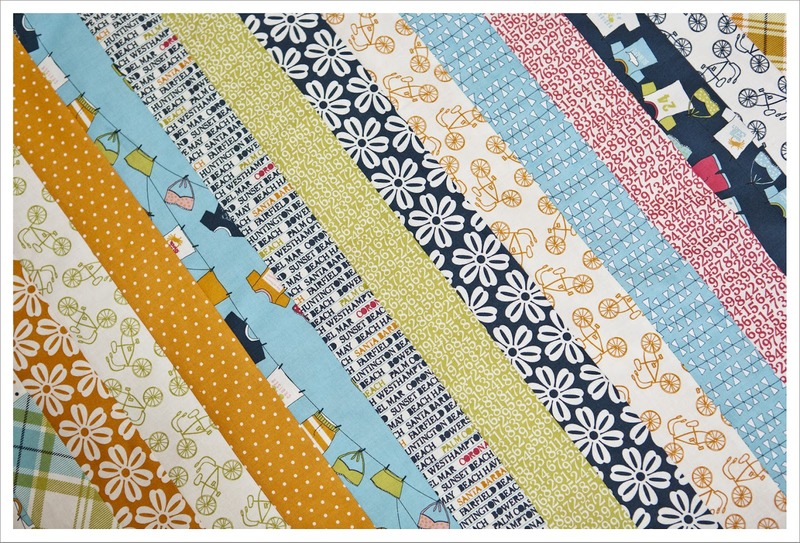 the simple strip piecing works so well, fab! Beautiful. Love the color combinations. 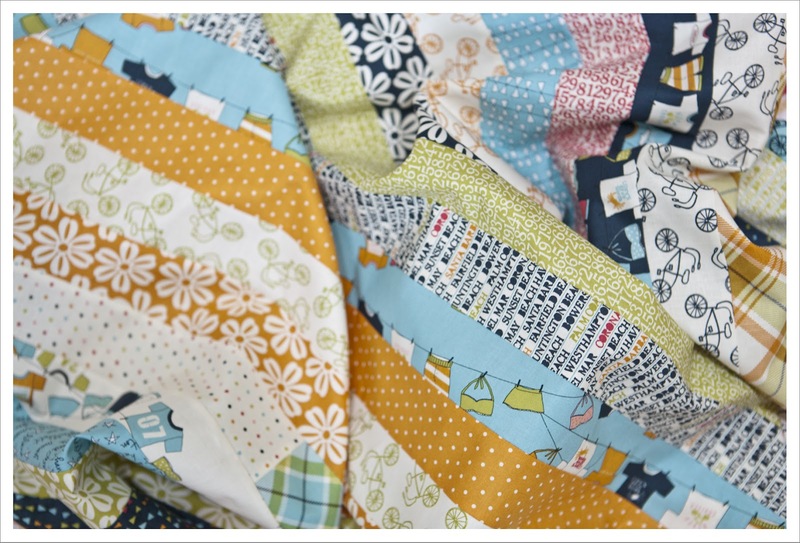 A lovely quilt Judith - I so love strip quilts as they are so quick to complete. The fabric choice is perfect and it sure is summery.